Hampton Court Palace was a beautiful place, with some rooms—the Great Hall, and some of Cardinal Wolsey’s old chambers—still accurate to Catherine’s time period. We heard a demonstration of Tudor music played in the Great Hall; the same kind of music Catherine may have danced to in that very room. One of the musicians played the lute and sang “Past-time with good company”, one of my favorite of King Henry’s compositions. I had to resist the urge to sing along! 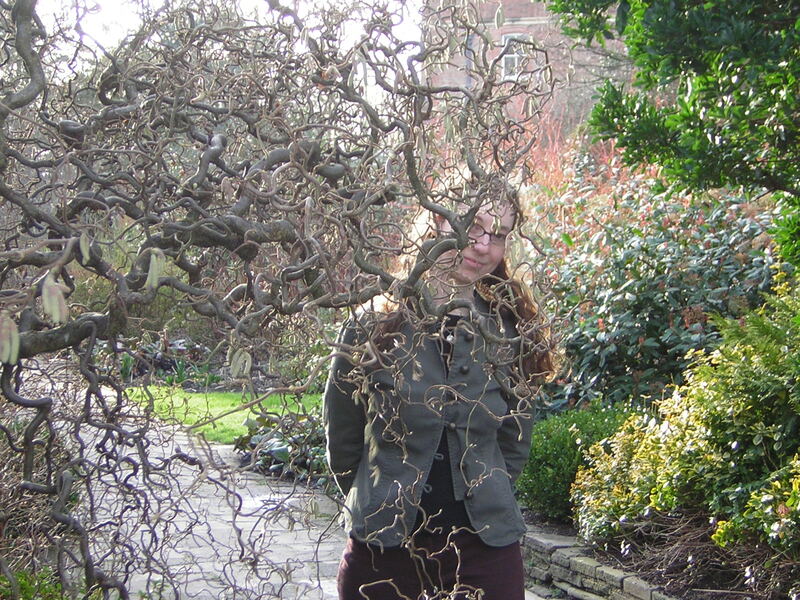 The gardens were already showing signs of green, blooming life. I wonder if Catherine saw roses—still wrapped in tight buds—beyond her window, when she was first detained in her royal chambers at Hampton . 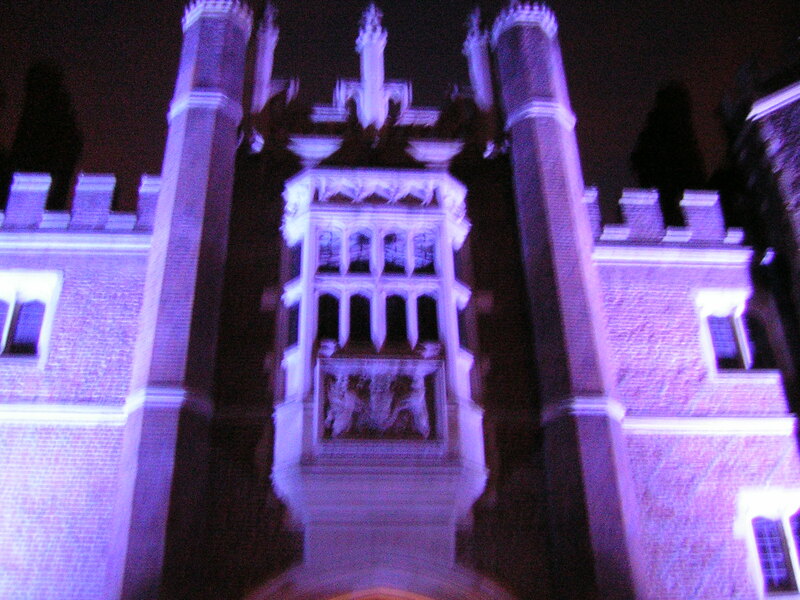 The most beautiful part of Hampton Court was seeing it at night. 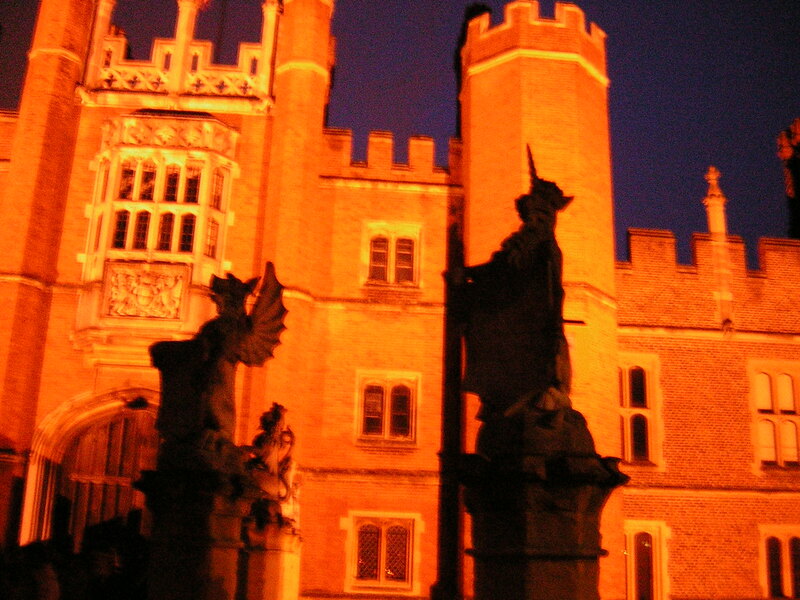 We took a “Haunted Hampton” ghost tour in the evening, and the palace was lit beautifully. It was lovely and spooky and gave me a better idea of how the castle may have looked in Catherine’s time—dark, imposing, beautiful, with candles flickering and faces peering at you from tapestries and gargoyles scowling down at you with faces etched in shadow. We were all gathered into the guard room to be told the story of the “Ghost Queen”, Catherine Howard. 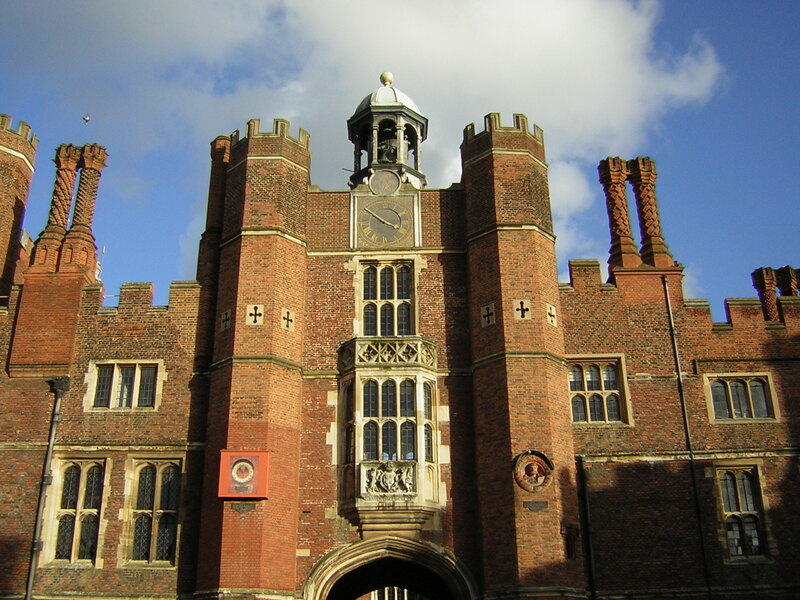 Upon her arrest in her royal chambers at Hampton Court, Catherine broke free from the guards and went running down a gallery toward the king’s private chapel, screaming the king’s name: “Henry! Henry!” But the guards caught her and brought her back to her apartments. According to legend, Catherine’s ghost has been seen traversing the “haunted gallery”, still calling Henry’s name. We walked down the haunted gallery quietly; it was all very quiet and the dim gallery was lit with red light. Out the windows I saw the courtyard of the palace, lit ethereally blue. With every step I thought of Catherine’s ghost, trying to make my mind open to her: “I’m here, now. Are you here? Is there anything you have to tell me?” I have long dreamed of asking her this very question. Many people noted they felt a drop in temperature as they stepped into the haunted gallery. Regardless, I received no messages from Catherine’s ghost. 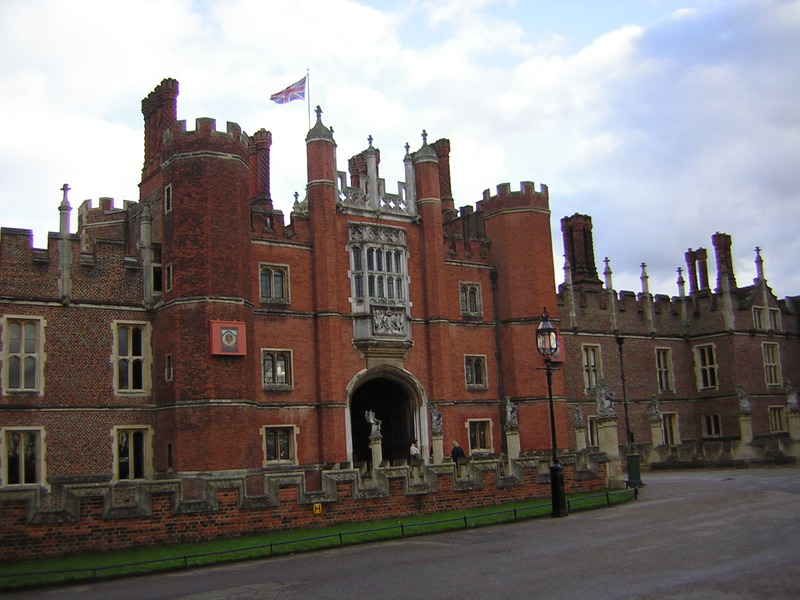 I visited the Hampton Court haunted gallery on 30/10/08 and was intrigued to hear about the hauntings there. i must admit that i felt a cold wind and heavy headed when i entered the haunted gallery chamber. but i did not notice katherine’s shreaking ghost. but a female guard in the wolsey chambers said that it was also haunted and showed me a cross kept there after the priest excorcised the haunted wolsey room. she mentioned a few other ghostly experiences. i am a sikh and i believe that these souls haunting the court are not at rest. some priest needs to seriously pray for these souls who may have died in a very unhappy manner i.e katherine howard – she was only 18yrs old. Seeing this brought back some memories. 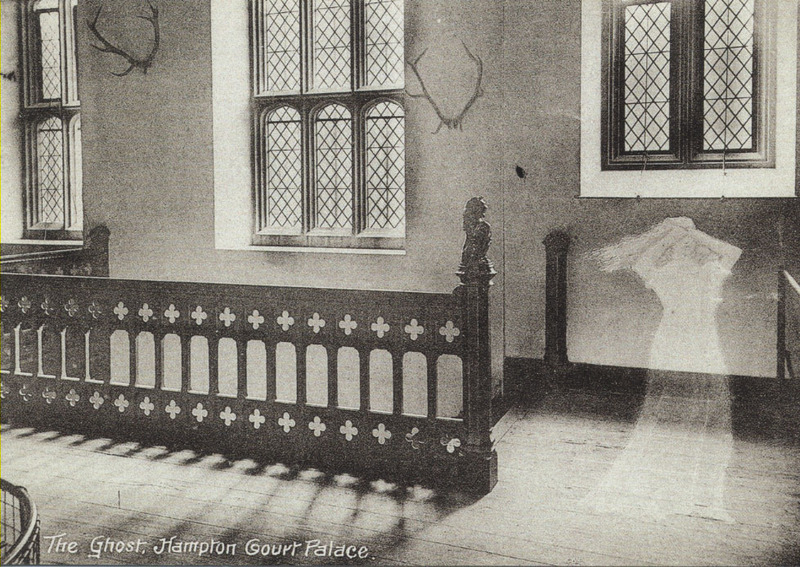 I went to Hampton Court when I was fourteen, and I do remember the cold haunted gallery. No ghosts, but the wife of one of the tour guides did an impression! this is so freaky i keep dreaming about ur ghosts i had this dream where i met a ghost her name was libby but she called herself libz strangely enough i communicated so well with her but mmy dream ended wheneva i asked her this one specific question i really want to know what this means.? I’ve never had much luck communicating with ghosts myself, but I did have a strange dream about Erzebet when I was writing The Blood Confession. We were on the swing set at the playground of my elementary school. Strange! For those who believe in ghosts, may I suggest two books* on the most haunted house in England, namely Borley Rectory in Suffolk. Written by a noted ‘ghost-hunter’ – Harry Price. They will convince many people of the existence of the supernatural. Then read the book ‘The Haunting of Borley Rectory’ by Trevor Hall, who scientifically and in great detail, demolishes the total fraud. The End of Borley Rectory. Thanks for your note! It was an amazing experience to walk down that haunted gallery – so gorgeous and spooky – even though I’ll admit I didn’t really sense Catherine’s presence. I wonder if people really do sense her there, or if the legend is kept up for tourist purposes; it does make for a good ghost tour. For me, Catherine was much more “present” at the Chapel in the Tower of London – her burial site. omg sooo realistic i realy belive in ghosts now!!!!!!!! awsome apparently it was cought on cctv!!!!!!!!!! !